My hair routine is pretty consistent. 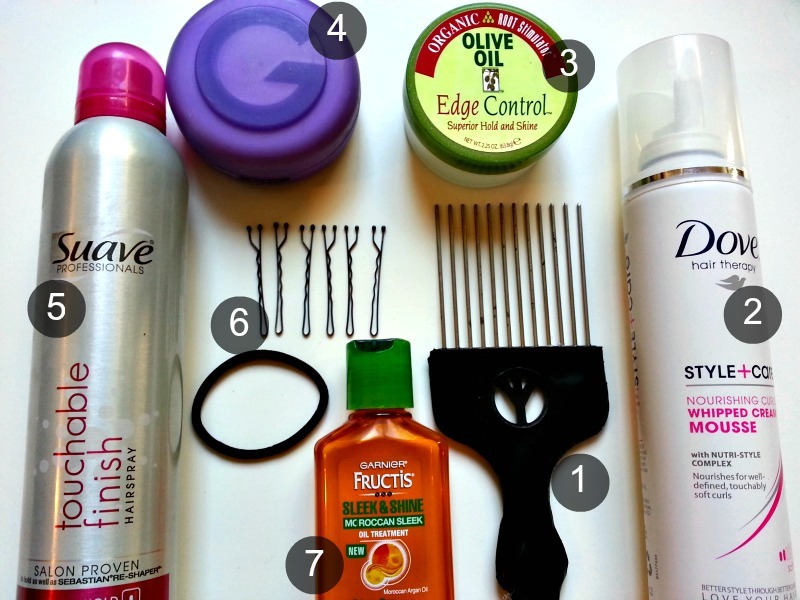 I use the same styling products almost everyday. Maybe it's because I'm too lazy to style it any other way other than my natural curliness, but these products have been working well for me thus far. 1. I know this hair pick may seem odd, but it works well when combing through those stubborn knots and tangles. I've used plastic combs before in the past, and eventually they all just snap in half. My hair's tough, I tell you. 2. This mousse works wonders in controlling the frizz, curls, and keeping my hair looking "healthier." Plus, when running behind, this makes for a perfect second-day hair product. No flakiness or crunch. I love it. 3. Baby hairs drive me crazy, so I slather this on around my edges to hide those stray aways. 4. Now that I've added some bangs to my look, I need a stronger hold when slicking them back into my hair (bun style.) Since I don't like to use gel, I use this Gatsby hair wax instead. On the days I flat iron (which is once in a blue moon), I also build this product up to create layered textures. 5. I use this light hairspray only when I want to add more volume to my curls. Other than that, I don't really use hairspray. 6. Five days out of the week my hair is worn in a bun. These bobby pins and tangle-free hair tie do the trick when securing my wild mane. 7. When I want more of a shine to my hair, I use a quarter size of this moraccan oil on my ends only. No roots allowed. The end results: long, wild, and free. And that pretty much concludes my everyday hair styling routine. Any products that you love? Anything new you've come across recently? And any suggestions for taming those darn baby hairs?? I'd love to hear them! Aw your hair is so beautiful! I have straight hair and it's very knotty too (of course it's something else with your hair because curls should be even knottier in the morning haha) I really loved this post! I am SO jealous of your hair, it's lovely and thick!!! Ahhh, I want your hair! in my case, i just use shampoo and conditioner and a styling mouse..
wow your hair is so beautiful! you're so lucky to have such pretty curls!! You have beautiful hair. Bobby pins are my best friend too! I use Edge control too. It tames those baby hairs like no other. I LOVE it!! 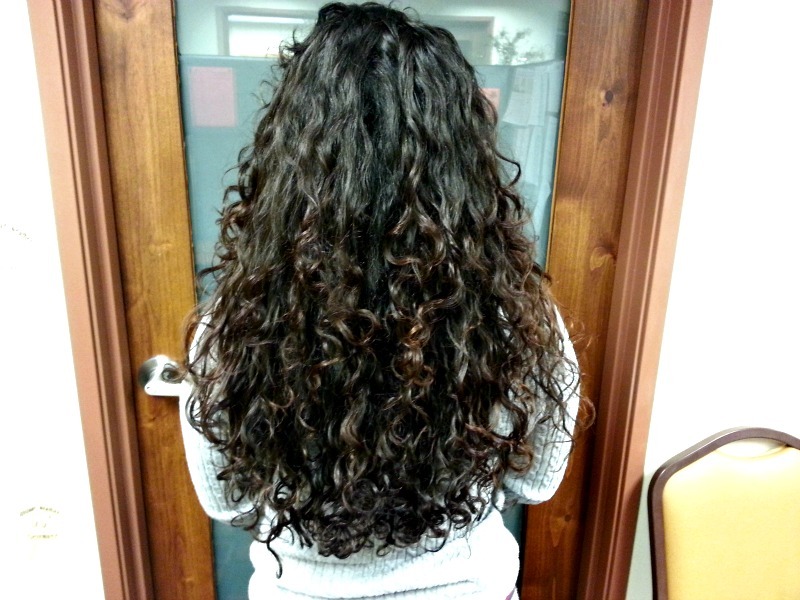 Beautiful hair!! I hate baby hairs too so thanks for sharing your tips :) Thanks for stopping by my blog! I'm following you now via GFC. wow look at that volume!! i love your hair! Only every once in a while can I get my curls to look as good as this... most of the time they are a frizzy mess! Great products. I've tried other stuff in that olive oil line and loved it! I've always heard great things about those olive oil products! Your hair is amazing <3 I love it! Wow! Look at that hair!